daily timewaster: The path of a hail storm near Wellington, CO. 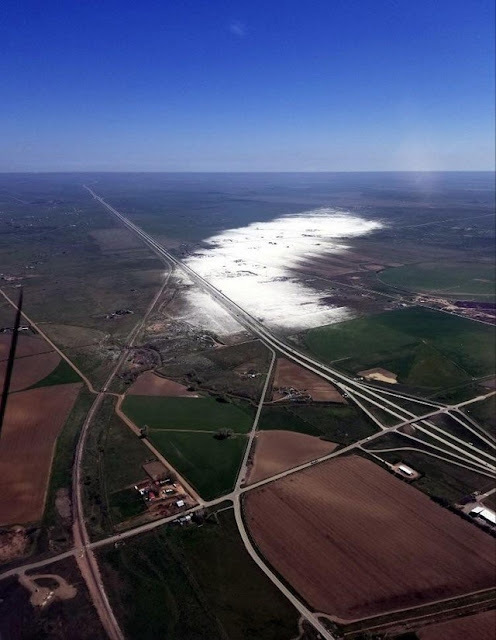 The path of a hail storm near Wellington, CO.
Ice giants walked across Colorado...that's the true explanation. They leave behind this sort of spoor. I see a footprint in that brown field lower right. The enlightened see evidence for what it is.